Special Counsel Robert Mueller finally released his “Report on the Investigation into Russian Interference in the 2016 Presidential Election.” Mueller’s conclusion — about allegations that President Donald Trump or his campaign associates colluded with the Russian government to interfere in the 2016 U.S. presidential election — is not a surprise. No collusion. I’ve been arguing that in my columns and on my radio show for nearly two years now. Trump is vindicated. The 2-year-long faux scandal which nearly split the nation in two is over, right? Wrong. 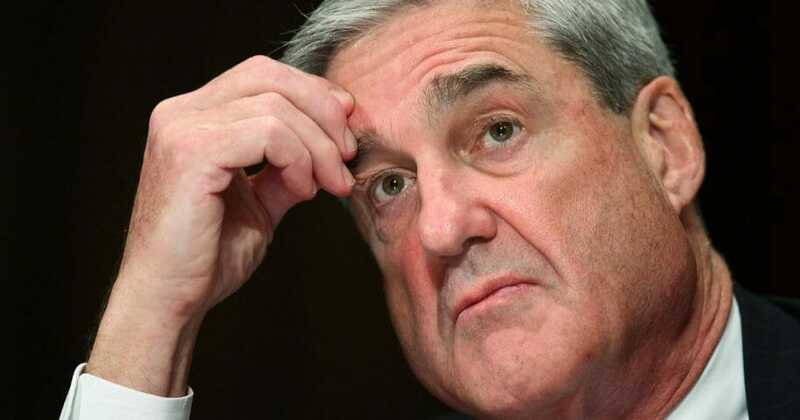 Mueller, a close friend of former FBI Director James Comey, who, soon after being fired by the president, called for patriotic Americans to “stand up” to Trump (and vote for the Democrats), still found a way to harm the president. Mueller punted on the issue of whether Trump committed the crime of obstruction of justice. My guess is Mueller could not “draw a conclusion” because he was attempting to expand the offense of obstruction of justice beyond its statutory limits so that he could at least accuse Trump of committing some crime and score a win for the “Stop Trump” movement. And Mueller either got cold feet or was stopped by the attorney general. We will likely learn more about this when Democrats in Congress question Mueller and Barr during the congressional hearings that are sure to come. Obstruction of justice is designed to punish individuals for subverting or thwarting the administration of justice by, for example, suborning perjury, destroying or concealing evidence, or by inducing witnesses to give false testimony. Trump did none of these things. So Mueller, according to Barr’s prescient legal memorandum of June 8, 2018, had been toying with the idea of expanding existing obstruction law to include the president’s lawful actions based upon his “alleged” corrupt state of mind or motive. Under this novel and dubious legal theory, Mueller was apparently considering whether he could charge the president for his lawful interactions with former FBI Director Comey about his investigation of Trump’s then-National Security Advisor Michael Flynn. Remember that Comey wrote in one of his memoranda that Trump said to him, “I hope you can see your way clear to letting this go, to letting Flynn go.” The media reported that alleged statement as proof that Trump was obstructing justice by trying to shut down the Flynn investigation. News flash! Presidents have the full power under the U.S. Constitution to start and stop an investigation into violations of U.S. law as well has handle every action in between. Article II, Section 3 of the Constitution requires the president to “take Care that the Laws be faithfully executed.” The president’s power to enforce federal law is plenary; the Constitution places no limits on it. The president may delegate his power to lesser officials including the FBI director, the attorney general and even a special counsel; but the power remains the president’s and those officials remain subordinate to him. Yet, Mueller, like Comey, seemed to be headed down that same wrong path. Thankfully Barr apparently put Mueller in his place. Mueller did manage to get in his parting shot for the “Stop Trump” movement. He wrote, “(W)hile this report does not conclude that the president committed a crime, it also does not exonerate him.” That’s a false statement and stunning dereliction of his duty. Mueller’s job was to determine whether crimes occurred or not; not leave it to Democrats in Congress to decide. An analysis of the actual statutory crimes of obstruction of justice, not the ones apparently floating around in Mueller’s head, compared to the facts of this case leads to the inescapable conclusion that the president is innocent of the corruption allegation, as well. That will be the conclusion that impartial Americans will reach once Mueller’s report is published. Mueller and Comey, however, because they could not bring themselves to declare Trump an innocent man, have shamed themselves and their high offices in their relentless effort to stop Trump.